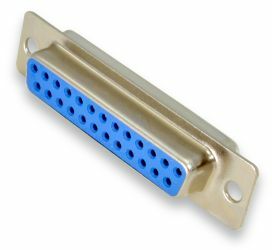 These DB-25 connectors are useful for a wide variety of electronics projects; common applications include I/O and DAQ equipment, computer parallel ports, and serial ports. These are solder-cup style connectors. We also offer matching hoods. The hoods come with all the necessary hardware.